Sanding hardwood floors used to be a dust nightmare we really mean a dust load! Not anymore. Airborne wood dust, a known carcinogen, is a jobsite hazard that is completely unnecessary. Bona Kemi pioneered dust containment for the hardwood floor finishing industry in the middle of 90s and have continued to develop innovative solutions such environmental green coatings like Bona Mega the most popular water base finish in the world! With the dust containment systems, there's no airborne dust generated to permeate a home or business. It's a healthier environment to work in every day and cleans up what used to be an extremely dusty process. No risk to family's health. Floors are ready 50% faster if you decide to use a water base coating. sanding & refinish with out dust! Our commitment for excellence expands us to new flooring systems and techniques, like refinishing wood floors with the Dust Containment System or DCS®. Using the latest wood flooring coatings available in the flooring market like the new Bona Naturale® this constantly commitment to excellence ensures you get a quality dustless floor sanding job, that will last a lifetime with professionals flooring crews that do what they love the most Refinishing wood floors and very important with out the big price tag!. Oakland Wood Floors is an active member with the National Hardwood Floor Associations; we have the latest news on industry standards and new techniques to improve process and procedures in the wood flooring world. an affordable way to increse the value of your property! Get beauty in recoating or refinishing and without the toxic fumes. No need to move out of your home during the finishing process. Wood Floor finishes are non-yellowing and will not change color over time using water base finish. we are flooring professionals in the bay area and San Francisco just call us today at 866-670-1239 and set up your free consultation ! In some cases we use Oil-Modified Polyurethane instead of the above mentioned products. Some of our clients prefer the warmth that comes from the natural ambering of this type of oil base finish. 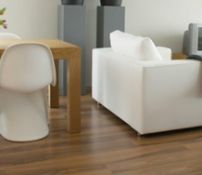 There are a few other reasons we might decide this finish is best for your floor. If this is the case, we will need to allow longer drying time.